Last week I was working in The HideAway, one of my other Division St offices, when I spotted these women in a corner, appearing to be working/collaborating/scheming. 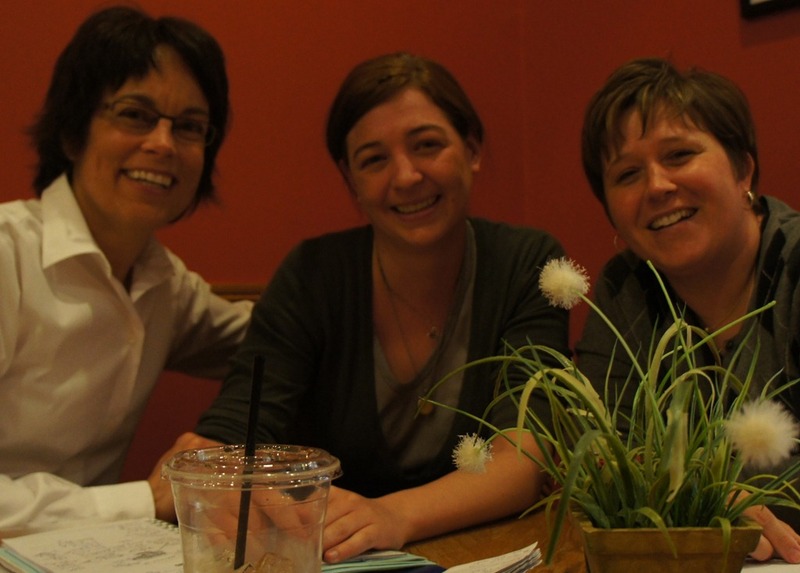 Northfield Rotary Club members Missi Arens and Nancy Amerman were meeting with Amy Merritt, Director of the Northfield Union of Youth (The Key). Amy is famously camera-shy but with a little bit of arm twisting from Nancy, she caved. We were meeting to discuss our organizations’ collaborative efforts to fundraise for The Key’s capital campaign. The Rotary Club of Northfield and The Key joined forces in 2010 and have worked together on the Rotary fun runs, car raffle, canoe sale, and The Key’s Valentine’s Day Rose Sale among other projects.